Poldarked: Aidan Turner is Going to the BFI & Radio Times Television Festival! Aidan Turner is Going to the BFI & Radio Times Television Festival! Ever since the BFI and Radio Times Television Festival was announced back in December we've been hoping for this news! 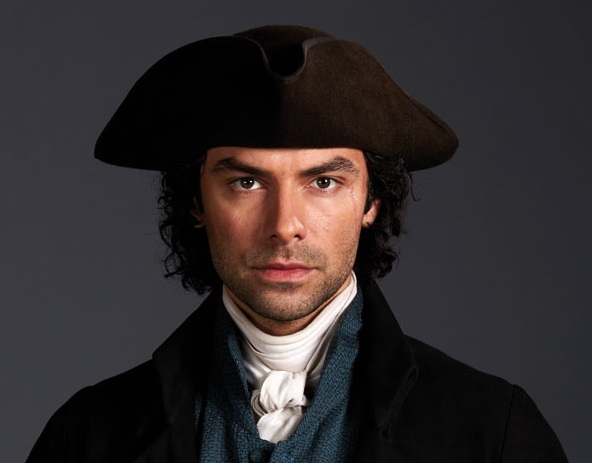 There will be a Poldark session at the Festival and Aidan Turner will be on the panel! Aidan will be joined by screenwriter Debbie Horsfield and executive producer Damien Timmer for the event Ross Poldark: Old-fashioned Hero for a Modern World. They'll be discussing what makes Ross tick and there'll also be a clip from Poldark Series Three. The event will be at the BFI IMAX on Saturday 9 April from 3.15 pm to 4.15 pm. The IMAX seats 500 people, so is a little larger than the BFI Southbank theatre that has been used for the Poldark preview screenings. Tickets go on sale to BFI members at 11.30 am on Friday 10 February (to Champions 24 hours earlier), to Radio Times subscribers on Saturday 11 February at 11.30 am and to the general public on Monday 13 February at 11.30 am. They can be booked online or by phone on 020 7928 3232 (11.30 am to 8.30 pm) and cost £16 with concessions and member prices available. There are plenty of other good things on at the BFI and Radio Times Television Festival 7-9 April such as sessions on Victoria (a Mammoth Screen production), The Crown, Line of Duty and The Night Manager. Check out the full line-up here. UPDATE 8 Feb 2017: Please note BFI members can book a maximum of two tickets per member.